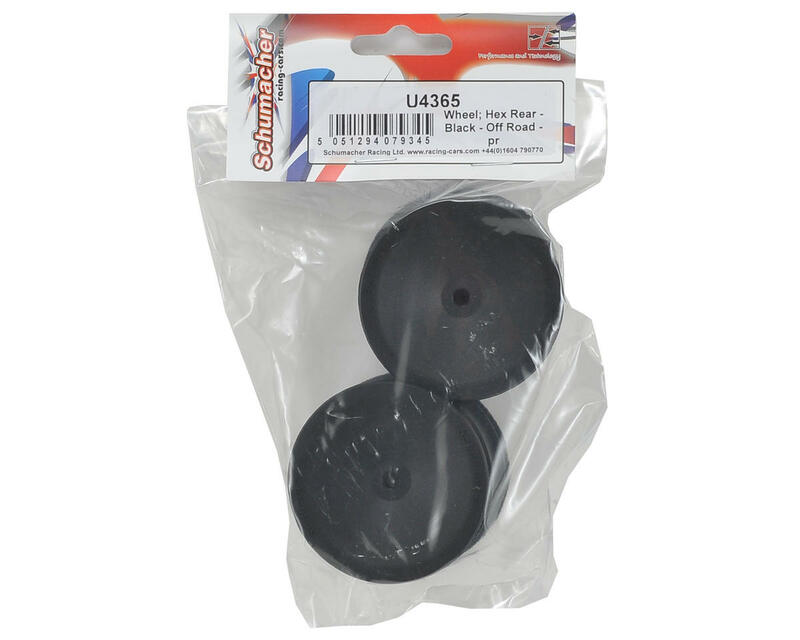 This is a pack of two Schumacher Rear Hex Wheels, in Black color. 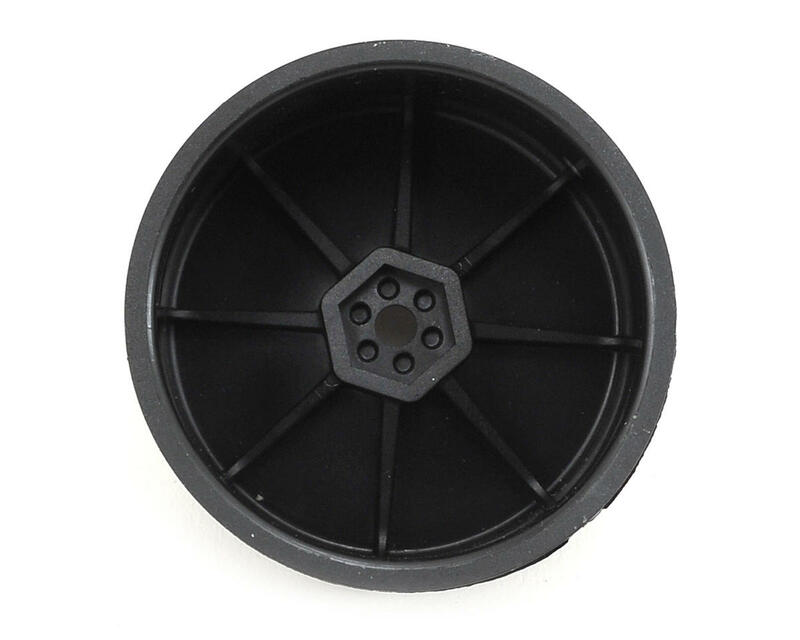 These rear wheels are intended for use with 1/10 scale 2WD and 4WD buggies that use a 12mm hex. 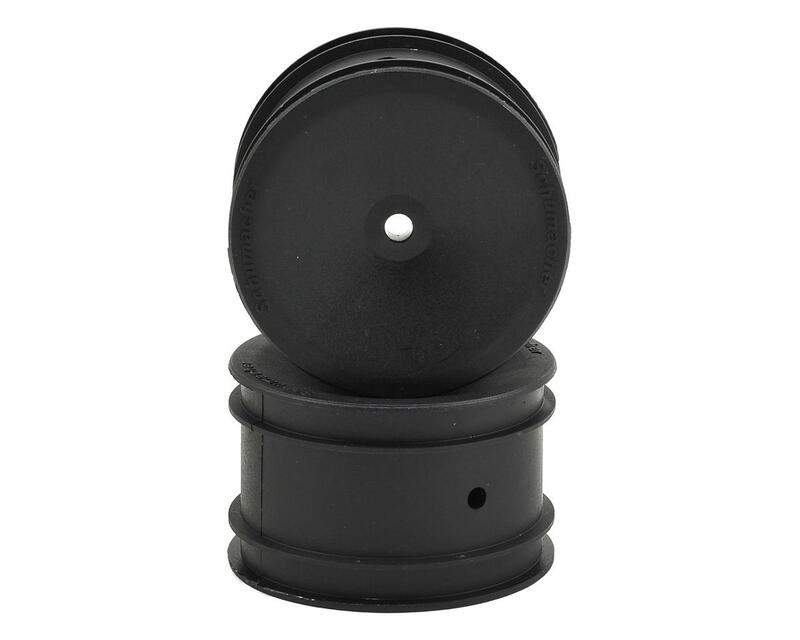 These wheels are dished and feature two pre-vented holes.